@TomWinnifrith writing this as not sure if @gsk mention in article was in reference to @ruperthargreav1 or me! Had a quick personal message from Bernard Cornwell today :) Nice to see great writers take the time to chat to their fans! Definitely having a financial goal in 2017... and I am going to make it quite a bit bigger than 2016. About 50% bigger. I believe that I have the ability to make a lot of money in shares... and I may well expand into other areas too. This year I am going to give myself a high score if I have met more great people IN PERSON. I met Chris Bailey this year and that was cool. Even if it means taking a bit of 'time off work' I am going to make more of an effort to meet great people in person. I already have great people I know- I am willing to meet more great people. Again no alcohol or drugs etc but I'm going to make a real effort with diet and fitness. Daily press ups, more walking and running. Interested in learning more self defense- I already do some shadow boxing. There are ruthless people out there but I won't back down if threatened. I think 2017 will be a GREAT YEAR :). Potentially I am still looking for a lodger for Newbury Walk- rent around £280 per month plus half of bills. Has to be the right person- have had quite a bit of interest so far. Decent views on www.markhowitt.blogspot.com for my Goal Review post... I will be writing my 2017 Goal article today partly. Feel free to connect with me if you're a high value person. I honestly get bored when it's a 'none trading day' in shares... will be doing share analysis today. In a way it's good to have a chance to research more yet I can't wait for the market to open again! 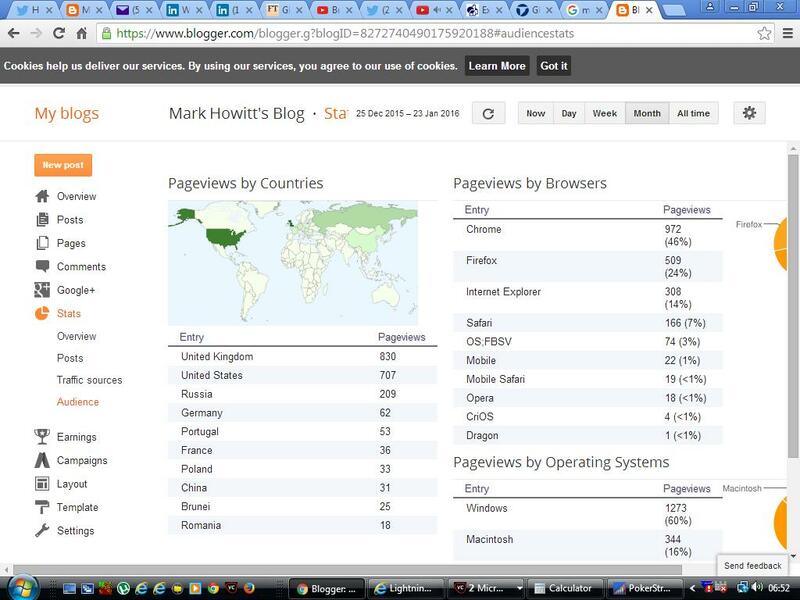 Ideally I want over 100,000 views on www.markhowitt.blogspot.com by the end of 2017... quite ambitious but I want it. 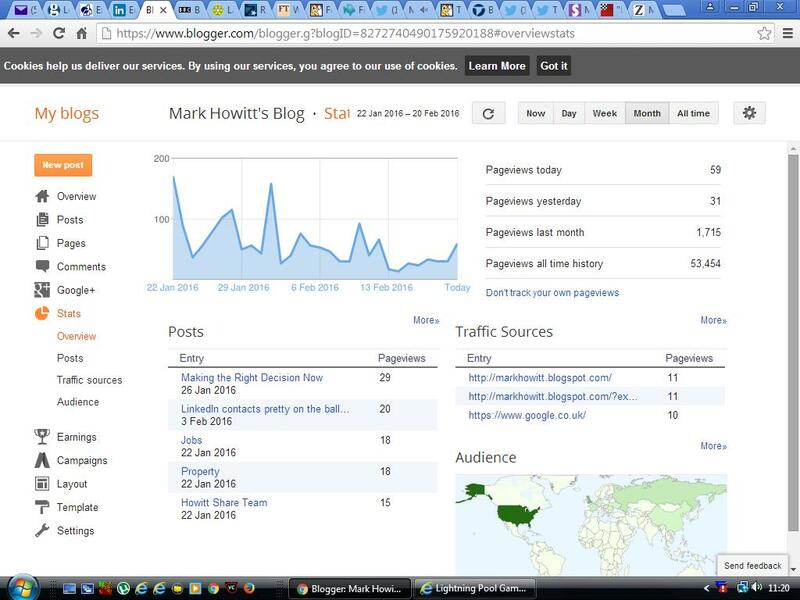 May become www.markhowitt.com in 2017... there is a lot more to come! Blasting this out on CHRISTMAS DAY... just another goal day for me. Over achieved this. Shares have done very well this year... my belief and timing in the recovery of oil has paid off. You can check out a post back in January 2016... I called almost the exact bottom of it. I invested more money in BP and Shell this year and it's paid off in capital growth and dividends. Bought some BP at 348 including costs and they're over 500 now. With more money I would have invested more. BP is my biggest share holding now and I have a 5 figures sum in Shell too. Eventually oil will get back to over $100 dollars again... might take quite a while but it will happen. These shares are still at least holds at these prices. I've spent quite a lot of this year working for a FTSE 100 company and performed pretty well so that's helped too. This one has been mixed. Again I still get points for having no alcohol, tobacco or drugs but my diet and exercise could have been better. I will continue to work on this. Overall I have done pretty well on this one. My strategy of spending more time with quality people I already know has paid off well and I have attracted other good people into my life. I think this is really important... people who add value and you can help get mutual fulfillment with will always be there when you need them. And this section is going to contain some free advertising for Financial Orbit because Chris Bailey is the person other than my family who helped me the most this year. Two billion pounds... it's hard to even IMAGINE that kind of money. A few years ago I never could have imagined that someone who managed that amount of money would give me free financial advice. Chris works LONG HOURS yet will always aim to chat to me when he can- and when he does it is full of good advice I can reread again. That's a trait of practically all successful people... they all put in a lot of hours and energy. But Chris puts in more hours than anyone else I know... sometimes he doesn't even sleep for 40 hours. And it makes me think back to a Brian Tracy saying "Success and failure take the same time." That's paraphrased. The time will pass anyway. Everyone has 24 hours in a day, both you and Warren Buffet. So many people in the UK waste time watch too much TV etc and even I'm guilty of that to an extent. When you have something that is a passion or vocation it's not even work. You have more energy to do it because you love doing it. And I do... well love isn't the right word but I put a lot of time and energy into shares. And now I have a big six figure share portfolio. 13 years ago writing Playing to Win I never dreamed of that. I dreamed of being a famous writer... and I have made that to an extent but there is much more to come and much more I have to write. Anyway I need to do more to add value to Chris... I give free publicity but should do more. I guess when you get to a certain level you enjoy teaching and helping people progress so I am very lucky to have his help. His share performance has been great in 2016 and he gives a lot of free great advice that if you follow will make you money. He has a permanent link on my site now. A great friend for over 12 years and a man with the highest verbal and social intelligence I know. Back in the UK now after teaching worldwide... aiming to buy a house which I know he will do. A great writer and mind and I'm very lucky to know him. I will be helping him in his 2017 goals and more with shares too. Just because I haven't mentioned you directly by name don't think I don't appreciate all the other people who have helped me too. There are quite a large number of those. Being honest Sebastian (he changed his name) is the next one along... he's too cool for social media so doesn't do it so can't put a link up. A proven winner... and when I chat to him it's like a flood of great advice that flows out that I read again and again. OK so that's the positive part... now onto another part. But when people do lie, threaten or cheat me... I don't turn the other cheek. It isn't a good idea to lie, threaten or cheat me. Anyway... let's just mention one person directly by name. And that person is Karlina Rose Shaw. This is quite hard to write but I feel I have to. For myself more than anything. Karlina is a smart girl who's gone through the public sector in the UK well. She is lucky in a way that the NHS is around now... life would have been different for her if she lived 70 years ago. She might have kids by now and be a housewife. She has very high verbal and social intelligence. Overall when you're talking looks, verbal and social intelligence probably the highest quality girl I've seen. Yet... a ruthless streak too. And I have one, lots of people do. But I am never ruthless to people who don't deserve it. I will never deliberately ignore someone I've known for over five years. I will at least be sociable with them. Anyway I've said it now. There are plenty of other girls out there... being with high quality ones though, the only kind I would like a relationship with, can be challenging. It's like... you can only spend so much time on girls and women and so much time making money. Sometimes this year I have been so tired from making money I haven't had the energy to go out... hope to get that more in balance in 2017. Overall though I am pleased with my mutual fulfillment with high quality people this year and look forward to 2017. I have put quite a lot of time into researching this and have lots of decent LinkedIn connections who are pro property investors. At the moment though I would have to sell some of my shares if I was going to do this which I don't want to do. My share performance has been very good his year so it's alright I haven't bought a buy to let property. At the same time though... you can have highly undervalued shares and highly undervalued properties. If you buy a property at the right price in the long term it will rise in value- it is more 'secure' than shares in that way. Ideally I still would like to own buy to let properties or invest in houses in general. The house I played a big part in doing buy to let... I live in it now. So that gives me extra experience too. I'm not scoring myself on this as I deliberately chose to put money in shares instead. Anyway... THANKS FOR READING! Goal review for 2017 will be written soon. Christmas day is goal day :) Have poker and will be doing some share analysis. 2016 has been a great year for my share investing and 2017 could well be even better! "Let's pretend Marshall Mathers never picked up a pen let's pretend things would have been no different pretend he procrastinated had no motivation, pretend he made excuses that were so paper thin they could blow away with the wind... 'Marshall you never going to make it makes no sense to play the game ain't no way that you'll win...'"
Oh and btw... my share mentor aka Chris Bailey at Financial Orbit... managed OVER 2 BILLION POUNDS WORTH OF MONEY. And I still get FREE advice from him too :)... so when you're reading my share writing it's not just from my brain, it's also drawing on the energy of all the great share contacts I have too! 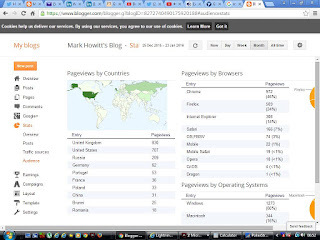 www.markhowitt.blogspot.com has OVER 65,000 views now with many views from countries such as China and Russia... thanks for your support! 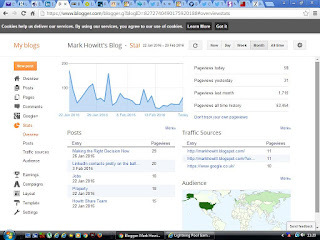 We will get to 65,000 views on www.markhowitt.blogspot.com within one week! Thanks for your support with my goals... much more to come. Shares rising... BP and Shell continuing to soar. Up thousands past few days. There is more to come. 3 years ago I never would have imagined I'd get over 100,000 views on my share articles. That's more people than I've ever met in my life. When I've been talking to people... before I've told them that some of the best writers in the past were never even known until death. Plato, nobody really knew him. Nietzsche, nobody really knew him. I'm lucky that I'm living in an age where all across the globe people can read my writing. At the same time I'm not going to be selfless. A lot of writers have died poor. Some died starving. Orwell died at about 47. When you look at John Updike... one of the greatest writers ever, he kept doing it year after year, book after book. Bernard Cornwell produces a book every year at least. They're in it for the long game, and they know that the only way to be great is to write practically every day. Now obviously I am NOWHERE NEAR AS GOOD as any of these writers... but I still want to be the best I can be. I still want to produce original content. Maybe people will read my writing after my death, maybe they won't. Either way I love the flow of writing while I'm alive. I want to achieve a lot in my life... but I will always make time to write more. Thank you for reading. Bought more Barratt Developments at a great price- they are a buy now! Winning a lot in poker :) Feel like my game is at a peak level now... know all the right things to do to get the money :) Cashing in different variants of poker at the same time... cashing in tournaments... basically winning at every variation of poker. Shares up about £1000 so far today. Shares up about £1700 yesterday :) £££ At total highest wealth. Considering putting a fair bit of time into writing share articles... I know I will be a share investor for life so it may be worth doing! Happy to talk about interesting jobs today... happy to say here that I've MADE MONEY IN POKER TODAY... been winning for over 7 years now :). I speak to 'ordinary' (but smart) people almost every day about shares... "I'd like to do that" a lot of them say. I let them know that they can read my share articles for free if they like. When I mention that I may be writing some more share articles they all say they'd prefer to read from someone who OWNS the shares rather than someone who doesn't! Going to put in some time to ringing jobs up today- my phone is on right by my laptop for incoming calls too. Received a job offer to sell in Spain today... not going to take it up at the moment. Have contacted a few interesting jobs and feel free to contact me if you know decent ones! The easiest way to make money in poker is find a table or tables with really bad players and just take all their money. If there aren't enough bad players it may be worth doing something else until there are! Doing lots of poker recently and winning but still happy to hear from interesting jobs- feel free to contact me. Oil rising back to nearly 45 dollars a barrel... has higher to go too. Shares up about £900 today. Being proactive and assertive today- including a visit to Newbury Walk. 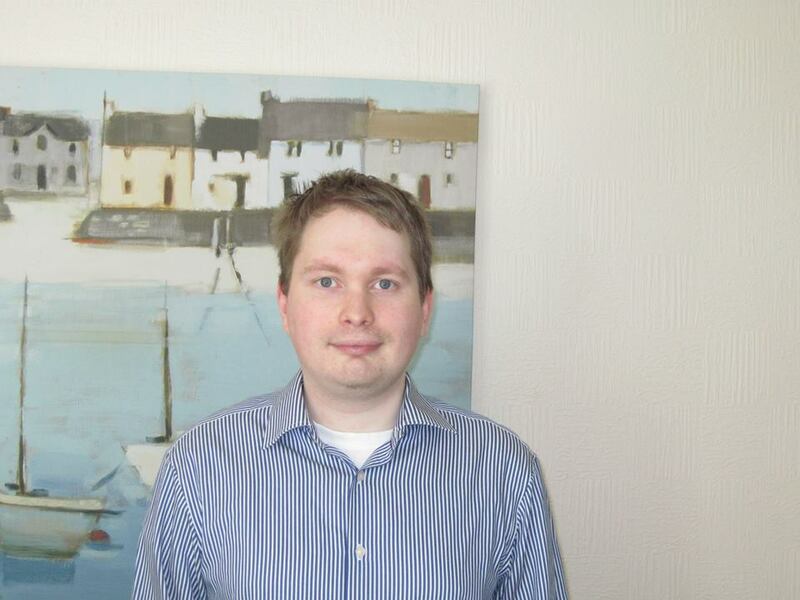 Looking for interesting sales or other suitable jobs close to Huddersfield feel free to contact me if you know some. Shares up about £1400. Shares up about £1100 today and poker's going well. May well be contacting interesting jobs tomorrow- feel free to contact me if you know interesting ones! If I decide it's worth my time, and it probably is, I want to write a detailed article about the UK's EU Referendum. This is probably the most important vote I've had in my life so far. Instinctively I feel I will vote to leave the EU. The only downside of this vote for me personally would be if Britain voted to leave the EU which could mean that probably my shares will go down in the short term. Possibly this decision could make them go up in the medium or long term. It's POSSIBLE I might even sell some shares before the vote... we'll see. But there are lots of positive points for me in leaving the EU. It'll be good for the UK economy- the UK pays in far more than it gets back from the EU. Too much immigration has had many negative effects for the UK. British people are faced with constrained wages and unemployment partly due to increased immigration. There is too much pressure on public services and overcrowding. British people should create their own laws. The majority of British laws are currently imposed by the EU. This must change. Anyway... some people will not be too happy with this viewpoint but that's how I feel at the moment. It's important to realize that a lot of 'pro EU' propaganda will come from EITHER sources with a real leftist viewpoint or those with an extreme capitalist viewpoint, quite a mix. Just because I'm a HSBC shareholder doesn't mean I'm a HSBC slave. They're thinking what's best for them as a company but not really what'll be best for the UK as a whole. I urge my British readers to consider all the issues when voting.